Releases on 24/05/2019. 34 Days left to Preorder! 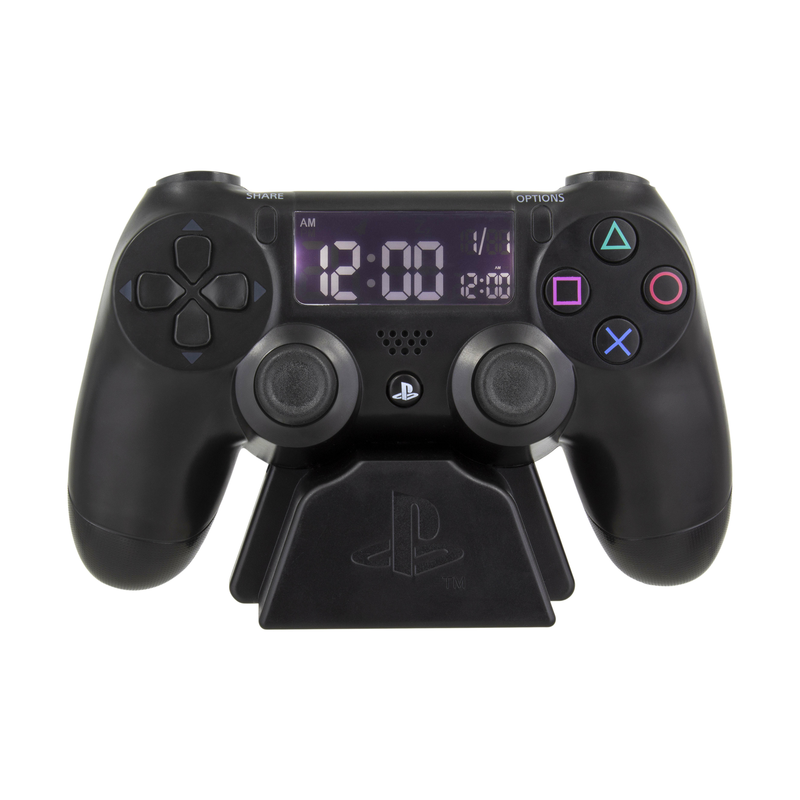 PlayStation Alarm Clock with reverse LCD display with back light and a standard beeping alarm (USB cable included). Wake up to a big hit of nostalgia every morning with this super stylish retro PlayStation Alarm Clock in the shape of a classic PlayStation controller. The original PlayStation is one of the most loved consoles of all time, so make sure it takes pride of place on your bedside table. This fabulous clock has a reverse LCD display with backlight and a standard beeping alarm when it goes off. This alarm clock is USB powered only. The first gaming console to ever ship 100 million units, the original PlayStation was launched by Japan based electronics company Sony in 1994, rapidly becoming one of the best known gaming brands in the world. With successive consoles building on that original unprecedented success (including the best - selling console of all time, the PlayStation 2), the iconic image, name and logos of the Sony brand are instantly recognisable with gamers of all ages. The PlayStation controller, with it’s distinctive shape and iconic button symbols of a green triangle, blue x, red circle and pink square, are now virtually synonymous with console gaming in general. A great gift for gamers of all ages, the PlayStation Alarm Clock is an officially licensed product.